For the next little while, each month we will introduce you to a different VEG team member, kicking off with Will Pullin. 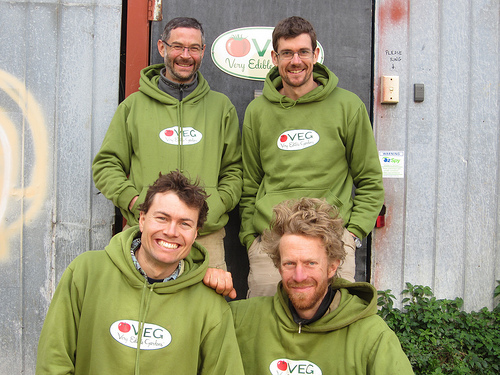 To VEG’s great fortune this mental note translated into reality and Will moved to Melbourne to join VEG in early 2011. 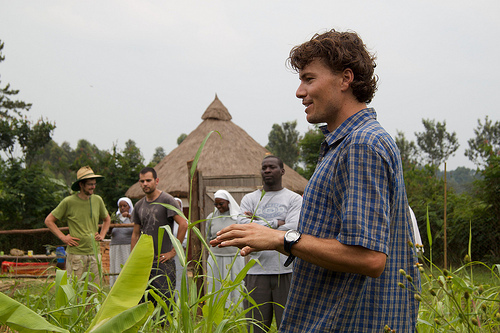 Will has been integral to VEG ever since and we don’t know what we would have done without him. Will is the most punctual person we know, despite often having ridden his bike over 40 km to get to work, sometimes days after completing a triathlon (where he tends to be near the front of the pack). He never forgets his irrepressible smile, and brings enormous care and attention to all he does. You can see a youtube of Will talking through VEG job here and some more below (the last of which has had over 5000 views!). 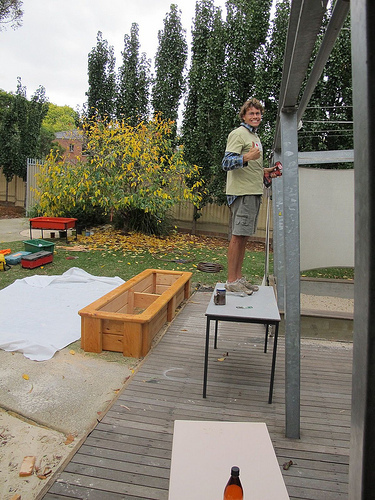 Alongside Matt Missen (aka the missen link), Will (aka willpower – sometimes we say with Will’s willpower we will prevail ;-)) currently manages the bulk of VEG’s edible garden implementation projects, working Tues-Thurs each week. He makes a mean chook system and is increasingly designing & quoting the jobs he manages. Many of our customers have enjoyed Will’s presence in their garden, and are regularly amazed with what he can achieve in a day. The only difficulty we have had with Will is trying to get him to stop for more than 10 minutes for lunch! Will plans to return to his native Newcastle in a year or so, and we are delighted to be exploring some rather exciting ways we can continue to work together closely, but more on that some other time. 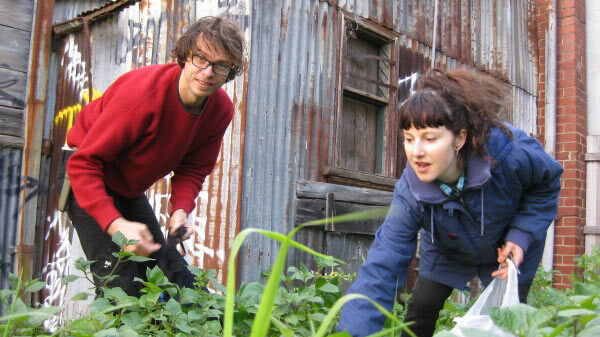 In addition to being the high-energy ethically sourced super food in the VEG muesli bar, Will has worked for some years with the Port Phillip Eco-centre in St Kilda where among other roles he has helped manage their veggie garden and revegetate a park under western gate bridge. On Sunday July 14 2013 Will will be running a Veggie Gardening Workshop at the Ecocentre. If you are in the St Kilda area get on down there, do some learning, support the event and support Will! Thanks Will for being part of VEG and for lifting our bar with your commitment, integrity, humility and unlimited positive energy. It is an honour to have you with us on this stretch of the journey, and having the chance to work and grow together with you will without question be one of the best memories of the VEG experience some day, far in the future, when we look back at all this from our rocking chairs. Note: When we run out of team members to profile we are going to move onto some of our customers, so be warned!